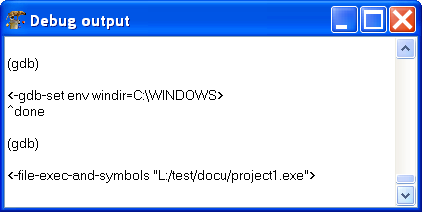 This windows shows the commands and answers between the IDE and the debugger. This window is not needed for normal debug operation. It may provide useful info, if the debugger itself fails to work as expected. This page was last modified on 1 July 2015, at 15:52.